Acrylic sheets have come a long way to become a perfect material for various applications. Owing to its superior durability and its glass-like appearance, acrylic plastic is often used as an ideal component in applications requiring a strong and stunning look.It is a top-notch material for home decor and displays among other applications. 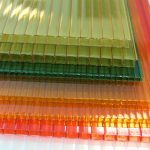 Acrylic has endless applications, so here are some of the areas you might find acrylic plastic sheets useful. However, it is important to note that each of the suggested applications comes with a different level of fabrication and varied difficulty levels. There is a growing popularity of acrylic in the manufacture of decorative wall panels for interior decor. Acrylic wall panels have a stunning ability to give your space a modern yet professional look. Acrylic come in a variety of colors, styles and textures, so you can choose your options to make your interior decor exclusively unique.You can fabricate your designs with pre-colored acrylic sheets or you can simply choose to used mirrored, textured and colored panels as a combination to make your interior look superior. Depending on how complex or detailed you want your design to appear, you can choose from a range of options. Acrylic has an incredible combination of artistic colors and durability that makes it a perfect material for displays and exhibit stands. It is the best material that you can use to showcase your artwork or other items in your office or living room. Some of the things you might want to display include jewelry, precious gemstones and expensive items made from gold or diamonds thanks to its top-grade protective nature. As previously noted, acrylic comes in a variety of textures, colors, shapes and sizes. This makes it a perfect option since it can be cast into jewelry making this material perfect for jewelry. The ease of making it cutting it into a variety of shapes and figures makes it a good material for necklaces, bracelets, rings etc. Although viewed as the closest competitor to polycarbonate, acrylic has far too many areas of application. However, decision is a matter of personal choice so you can pick on acrylic if you want a more complex and detailed artwork. In summary, your options are not straight forward since these two materials feature different properties. Therefore, it is about the appropriateness of the choice of material rather than which one is the best.